FÁILTE Fáilte romhaibh go léir ar ais ar scoil. 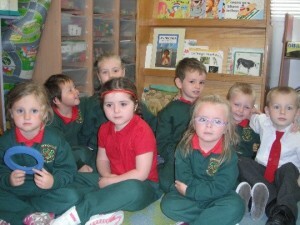 Fáilte speisialta roimh pháistí agus tuismitheoirí Naíonáin Bheaga (Junior Infants). Our Nuachtlitir will be published once a month and our aim is to keep you up to date on the events in Gaelscoil Donncha Rua; holidays, meetings, good news, children’s activities, policy decisions and school events. Naíonáin Bheaga, N.Mhóra agus Rang a 1: Múinteoir Aisling. Rang a 2 agus a 3: Múinteoir Máire. Rang a 4, 5 agus a 6: Múinteoir Muireann. 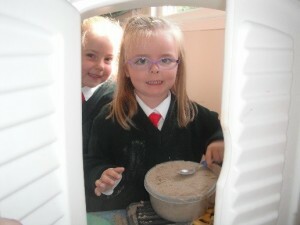 Múinteoir Tacaíocht Foghlamtha (Special Education Teachers):Múinteoir Deirdre & Múinteoir Denis. Runaí (Secretary) agus C.R.S (ClassroomAssistant): Regina. .SONRAĺ TÁBHACHTA (School Record) Má tá seoladh nó uimhir ghutháin nua cuir in iúil dúinn é. If you have changed address or phone number over the summer please forward to the office. 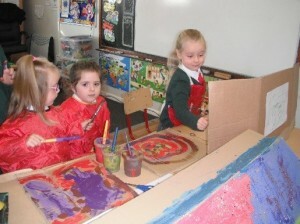 If you would like to be notified by email please send that to our school email address www.gaelscoildrua@yahoo.com . We would appreciate if School expenses (€50 per child or €60 per family) could be paid no later than the 30th of September, part of this covers the cost of school book rental scheme and every child must have it paid before availing of the scheme, go raibh maith agaibh. As part of our recycling initiative we would ask all children to bring all lunch wrappings home with them. We would also encourage the children to use drink bottles or flasks instead of juice boxes as these are also better for the environment and cut down on rubbish. Míle buíochas! Táimid an-sásta leis na boscaí lóin atá lán le bia folláin. Maith sibh a thuismitheoirí! Keep up the great work with the healthy lunches! There are only 6 weeks left of swimming lessons for this term and we would encourage all children to take part. Mairead Hackett will start dance classes every Thursday after the Halloween break (more info to follow in next newsletter). Back to school mass (rang a 2-6) will take place on the 18th of September at 1:30 in the Adoration Chapel in the Town Centre. The Registration meeting for parents of First Holy Communion class will be held on the 17th of September at 7:45pm in Mary Immaculate church. Dates for Confirmation : 25th of April at 10:30am . First Holy Communion 9th of May at 1pm. Parents interested in forming a Parents Association should give their name to Aisling and a meeting will be held in the coming weeks. Míle buíochas! Ag obair sa seomra ranga. Cailíní ó Rang a 4 & 5 ag bailiú prátaí! 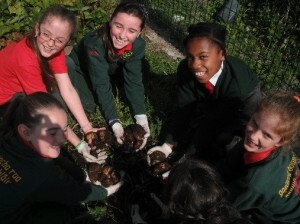 We had a great crop of potatoes after the summer break!